This assignment was for the University Magazine at George Fox College in Oregon. Quotes used are gleaned from various reviews of books written by Sweet or from Leonard Sweet himself. I wish I could remember this woman’s name. But her story was unforgettable. She is an alumnus of Suffolk and their alumni magazine called me to photograph her for a story on why students selected the university. Her story was simple… The car broke down and there she was. 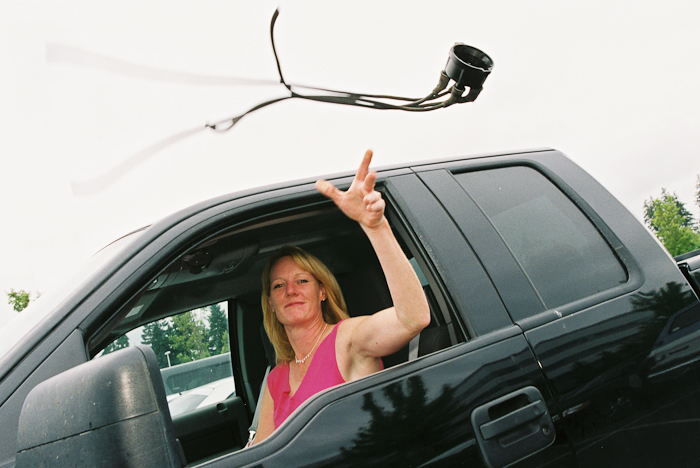 She is pictured tossing the distributor cap out the window.